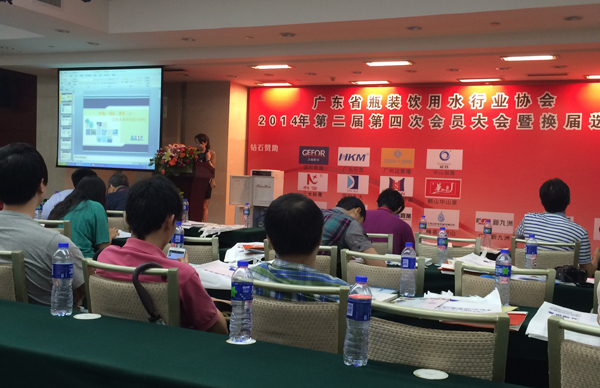 Jeepine Representative is analyzing the packing machine trends on Bottled Drinking Water Association of Guangdong. Will bottle blowing, cap making and filling all combined in the production line be the future choice for drinks manufacturers? All the members are interested in this topic which may influnce their future decision.